How do I get a Save As… option always appear in my Apple apps without using the OPTION key? I couldn’t find an answer here, so maybe this doesn’t bug anyone else. But surely it must? Basically, when using Apple apps such as TextEdit, Preview, Pages, Numbers, there is no Save As… option unless you hold down the OPTION key. This is just such a time waster and can’t possibly ‘add’ to the user experience. Plain dumb if you ask me. How can I add this option so that it appears by default without having to press the OPTION key? The easiest workaround is to actually create a custom shortcut for Save As… using the same keyboard shortcut as the Duplicate option. In other words, don’t use the default keyboard shortcut of shiftoptioncommandS, but change it to optioncommandS instead. Click on the Keyboard Shortcut field and now press the optioncommandS keys (remember, this will totally replace the Duplicate option from appearing in the menu). Now you’ll have the Save As… option by default in your various Apple app File menus. 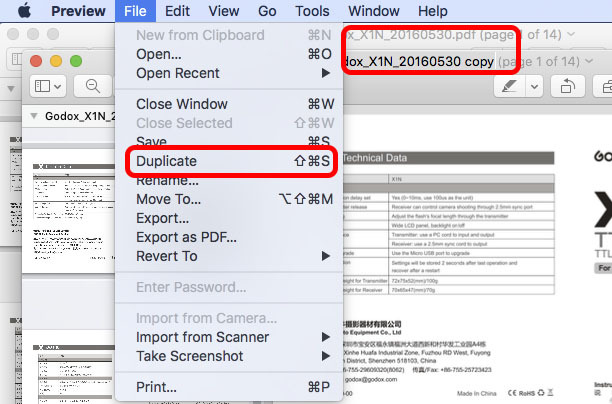 Cmd ⌘ Shift ⇧ S will make a duplicate & append 'copy' to the name. This can then be saved in the regular manner. Alternatively, if you just use Cmd ⌘ Opt ⌥ Shift ⇧ S it will go straight to the Save As... dialog. Is there a list somewhere of all the special characters I can type using the option key? How to change a key combination without using Karabiner? How to restart the Dock without using the command line?